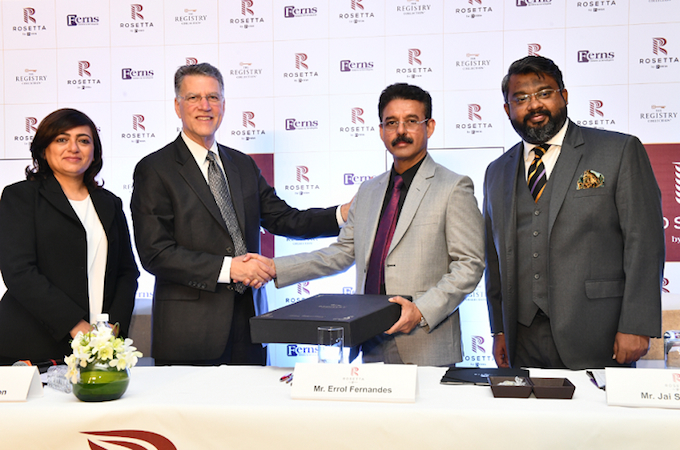 Indian luxury vacation ownership group Rosetta by Ferns recently announced its partnership with The Registry Collection, RCI’s global-leading in luxury vacation exchange programme. Through this one-of-a-kind association, Rosetta becomes the newest luxury hospitality venture in South India to ensure its members have access to the highest standards of quality and luxury across more than 240 affiliated resorts across the globe. ‘Club Rosetta’ is a highly differentiated and flexible point-based membership programme by Rosetta by Ferns that provides its members with access to thousands of resorts and holiday homes worldwide. The Registry Collection (TRC) is an exclusive programme with more than 240 affiliated resorts either available for exchange or under development and with 50,000 members. Through its partnership with TRC, Rosetta members will be able to access an elite network of the finest vacation properties at the world’s premier destinations as well as 24×7 travel concierge services. The programme was established 15 years ago for luxury leisure real estate timeshare and over the years has evolved to include wholly owned resorts residences, condo hotels and fractional yachts. Errol Fernandes, chairman and managing director of Rosetta by Ferns, said: “Being one of the well-known names in the luxury hospitality market, our motto has always been to offer the best in luxury to our members. Rosetta by Ferns is currently working on its first resort in Sakleshpur, Karnataka. The 100-acre luxury project is nestled amidst the lush coffee plantations of Malnad, and will feature accommodation ranging from spacious studios to one, two, and four-bedroom villas with private decks and garden spaces. Over the next three years, Rosetta by Ferns is set to invest over USD 100 million (INR 700 crore) to build projects across Karnataka, Tamil Nadu, and Kerala. Gregg Anderson, The Registry Collection’s global vice president, said: “We are delighted with our partnership with Rosetta by Ferns. The fact that they are determined to provide the best in hospitality and leisure is in sync with The Registry Collection’s objective which is to provide a luxurious, comfortable and hassle- free experience to its esteemed members.